Sports and games keep us fit and quite in shape, at first we may find cramps and unusual response of body towards it but eventually the physical fitness would be worth seeing. It makes life longer and better, the temperaments remain calm and a sportsman’s spirit activates like a driving force from within. Winning and losing is just the matter of chance, one day the game is in your hands, the next day may be it is going to be slipped away in the hands of some other person but all it takes is courage, dare motivation and stamina to fight back and play with a monster spirit. We see people have strong interest in football; the famous footballers have stirred up a passion in the fans to watch the game with all eyes open in focus. We are familiar with FIFA world cup of 2014, only a little time is left ahead of us and we can’t wait to see the clash of titans on the field. Nobody knows in whose hands the FIFA World cup 2014 would befall; it is going to be held in Brazil in the month of June starting from 12th till July 13th 2014. 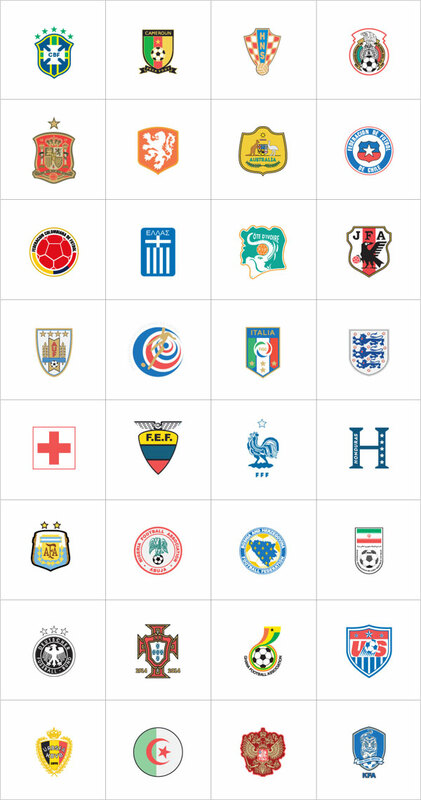 Altogether 32 teams have qualified for FIFA world cup 2014 in Brazil. Notably there would be 64 matches among the qualified teams and it would be played in twelve cities across Brazil, this football tournament would attract millions of fans across the world that would come to join in the stadium as spectators to support their country and encourage them to win the match. Countries take great pride just by participating in the FIFA world cup no matter whosoever wins the match it is all about spirit and enthusiasm of victory. 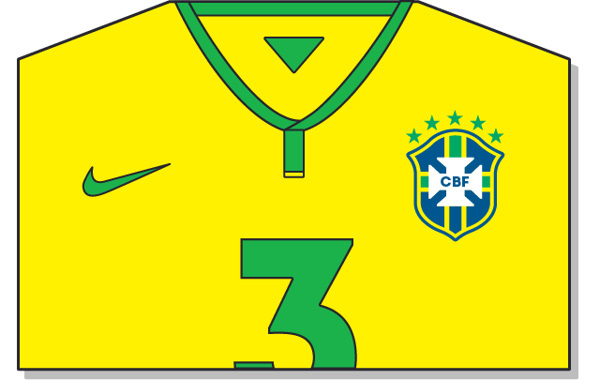 Today I am unfolding list of FIFA World Cup Brazil 2014 teams jerseys in flat designs by Pablo Alejandro Gomez, get to know what style jerseys would be worn by your country team and how the jerseys would look in their new and completely different appearance. Fasten your seat belts and gear up to gaze at the following! 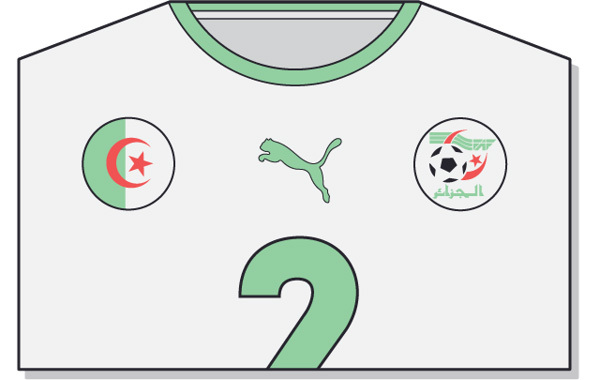 Algeria 2014 World Cup t-shirt is pure white and their shorts are green and white as well. 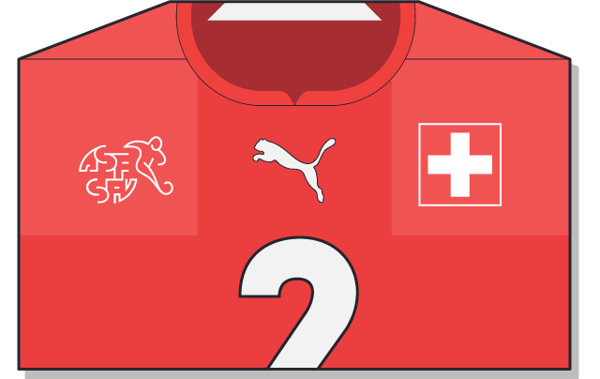 Jerseys are designed and sponsored by Puma. 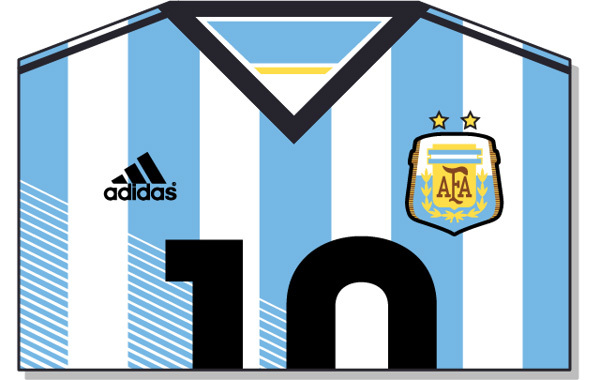 Argentina t-shirt is designed by Adidas and were finalized in 2013. It comes with black Adidas stripes and the shorts are white. 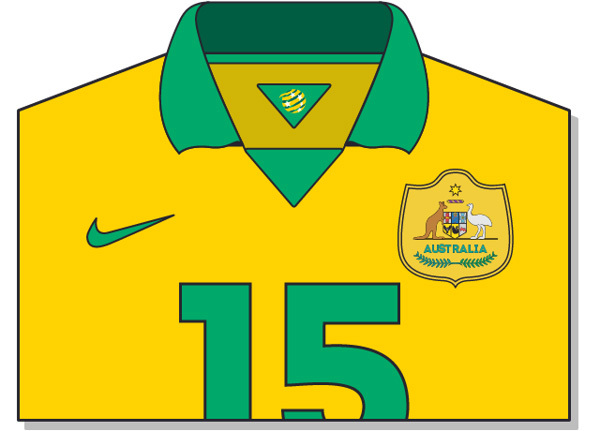 Australia home and away tshirts are again produced by Nike same as the current kits. The shorts will be green. 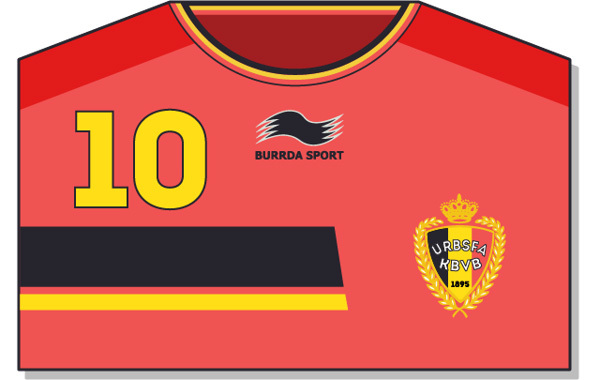 Belgium World Cup tshirt is made by Burrda. 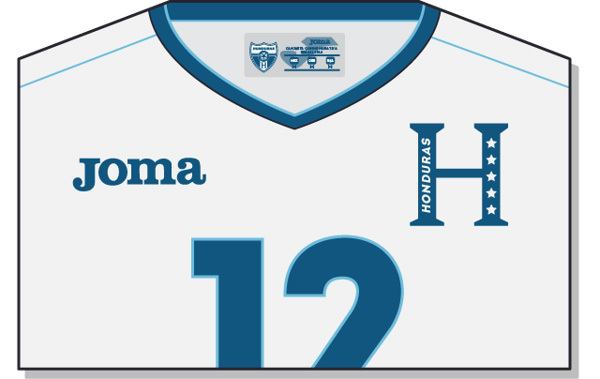 T-shirt and shorts will be red with yellow and black elements on the front of the kit. 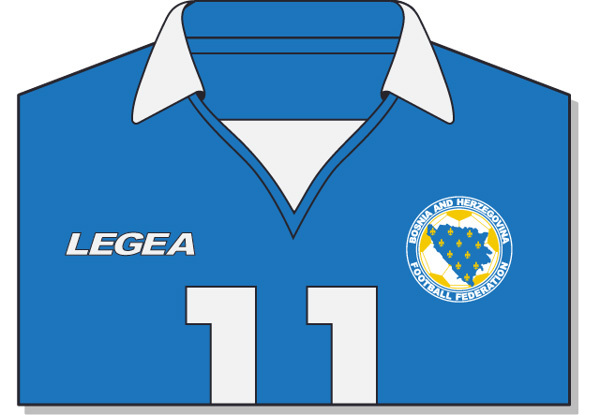 Bosnia and Herzegovina tshirt design was finalized by Legea with a contract, before Legea, it was in talks with Nike. Brazil Fifa world cup kit is made by Nike and released after new year 2014. It is yellow in color with sleek green v-collar comes with a blue short. 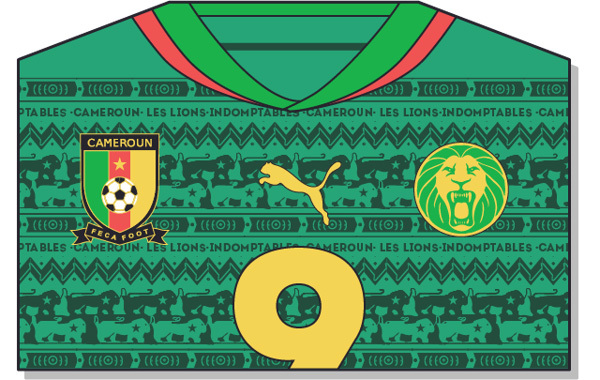 Cameroon kit is made with unique graphic elements. It’s design is created by Puma. 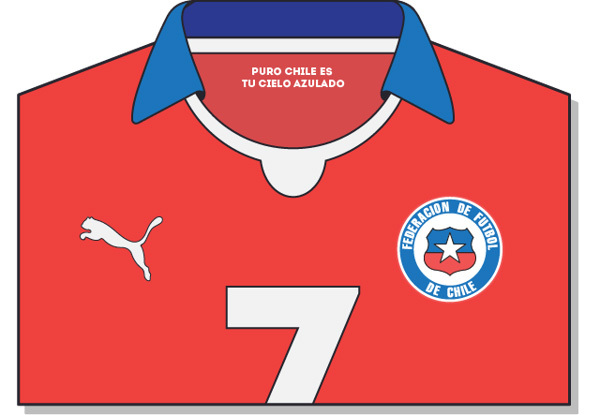 Chile fifa shirt comes with blue collar. The tshirt is pure red with side applications, shorts are blue. 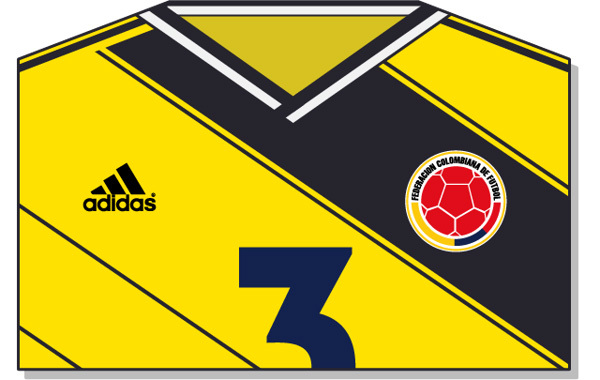 Colombia World Cup 2014 shirt is as usual made by Adidas and comes with the lettering. The shorts of the new Colombia Kit are white not blue as previous. 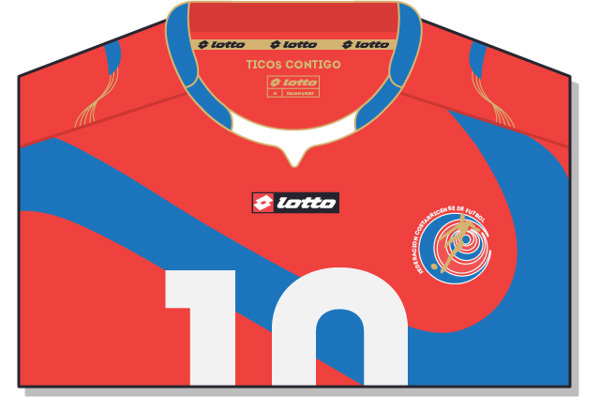 Costa Rica World Cup tshirt is designed by Lotto. 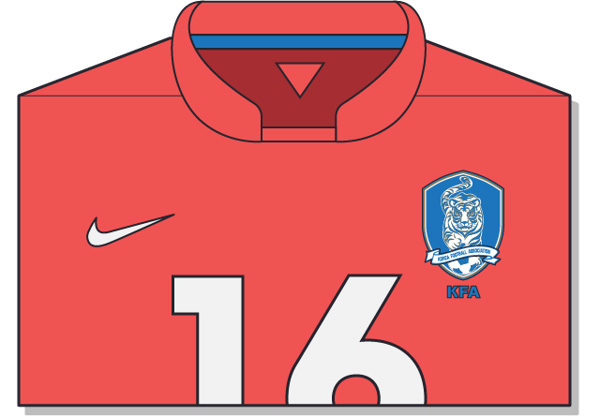 Jerseys is red with blue shorts. 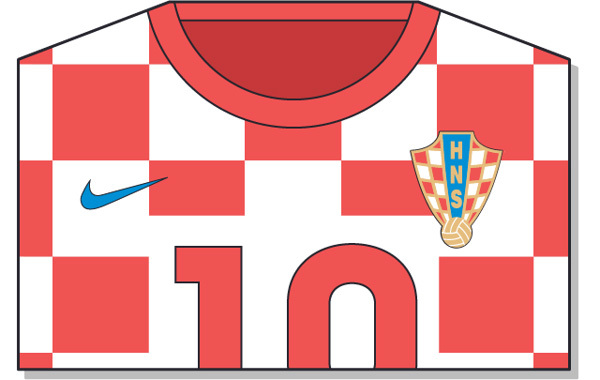 Croatia tshirt is designed & sponsored by Nike. 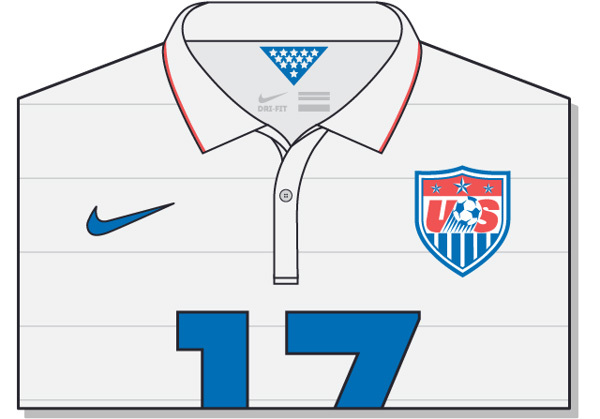 The new Croatia Home Jersey comes with a v-neck collar and will be used either with white or blue shorts depending on the opponent. 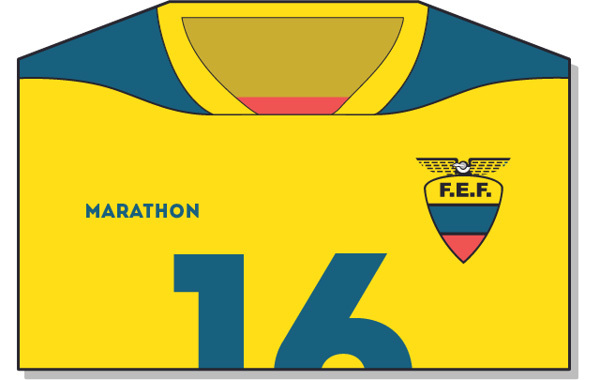 Ecuador Jersey is made by Marathon. It is yellow and blue in color with blue shots. 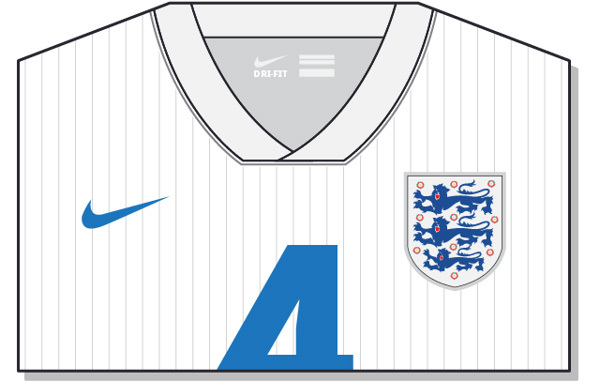 England Jersey is plain white with grey vertical stripes. 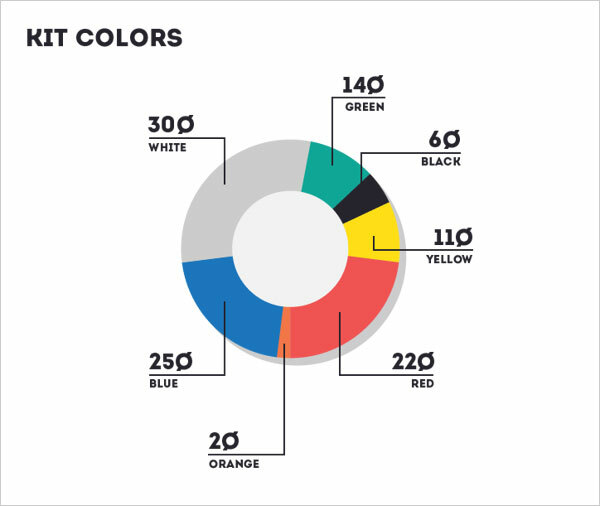 Shorts are also white in color. Designed by nike and it is navy blue color with white applications. 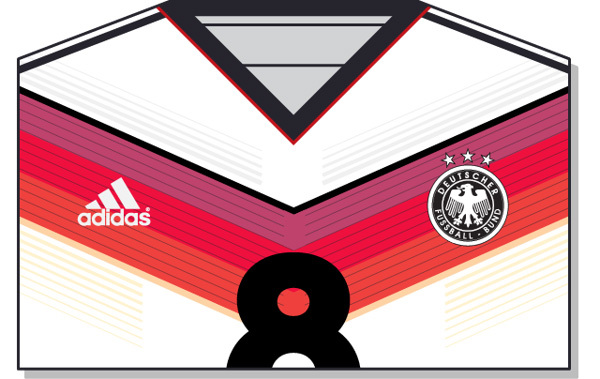 Germany World Cup home tshirt was presented in November 2013. Official tshirt is white with V-Neck and was revealed in February 2014 comes with white short as well. 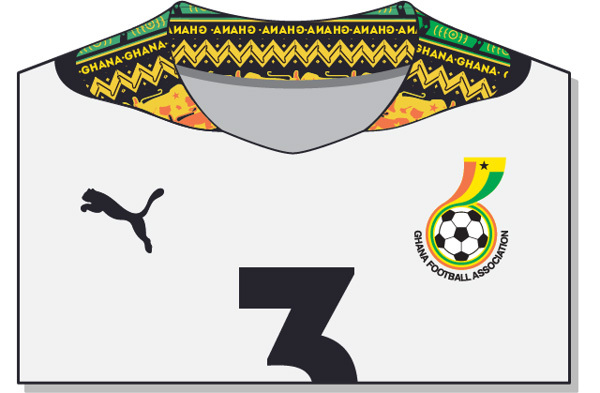 Ghana Fifa World Cup t-shirt is inspired by Kente cloth design. Tshirt and shorts are white in color. 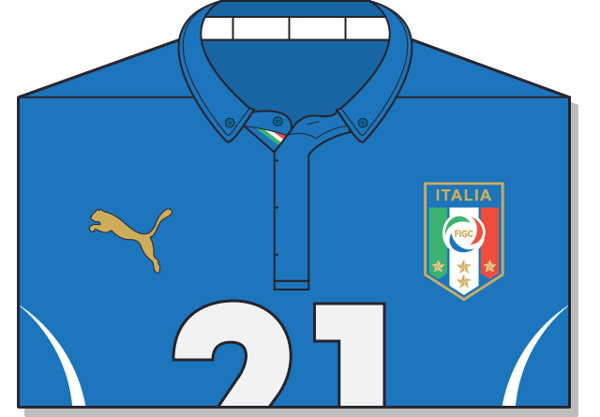 Italy Jersey comes with flag details, with blue pinstripes. Ivory comes with a very simple green t-shirt with green shorts. 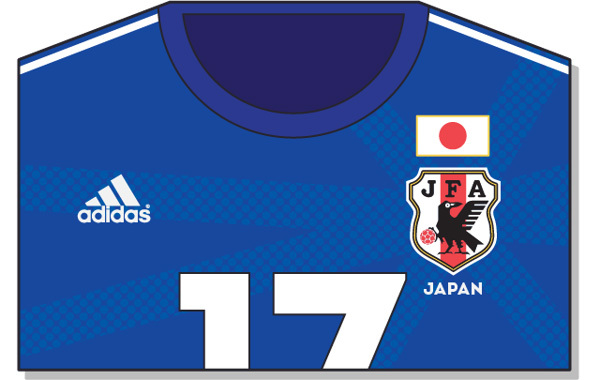 Socks, shorts and tshirt are all blue in Japan Fifa Kit. 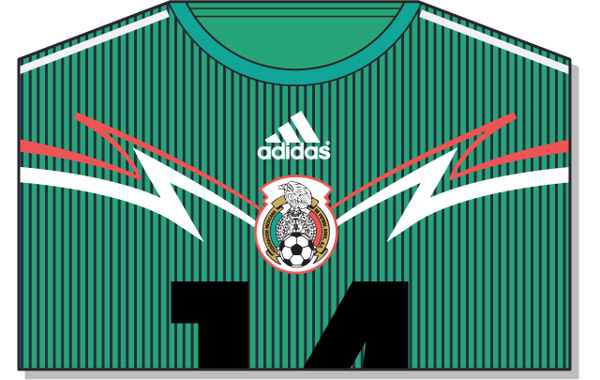 Mexico Fifa tshirt design is made by Adidas. 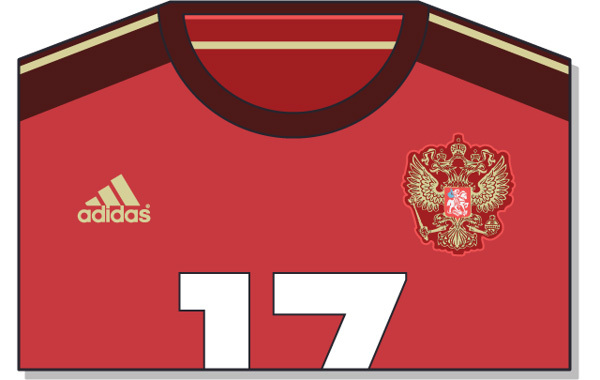 It is green in color with an impressive front graphic, while the Mexico World Cup Away Kit is red with black stripes. 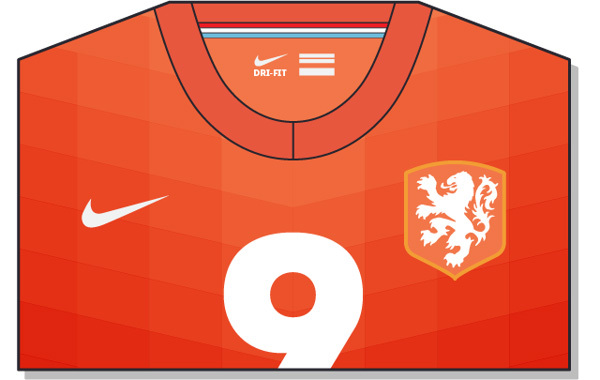 Netherlands World Cup tshirt is made by Nike. 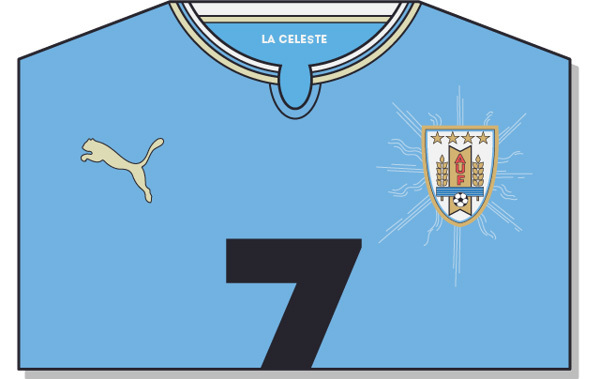 It´s feature a classical polygonal style inspired by the 1988 kit. 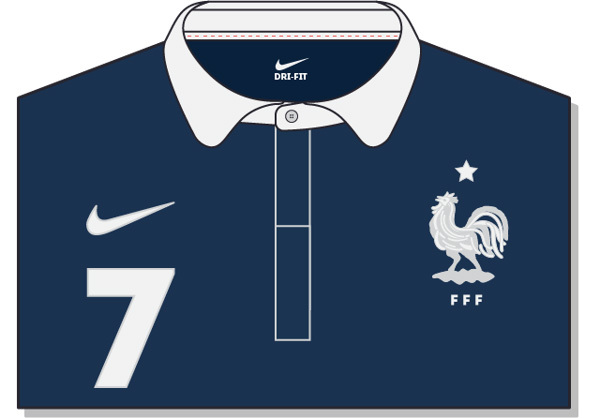 Netherlands 2014 Away Jersey is dark blue. 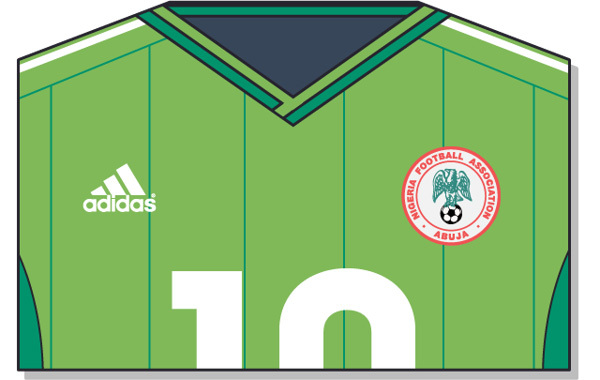 Nigeria 2014 World Cup Home Shirt is light green with dark green pinstripes. 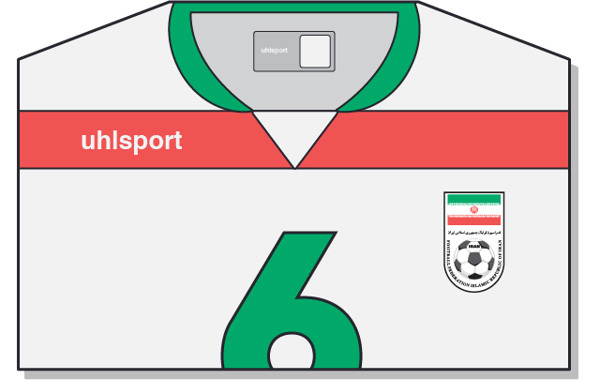 For World cup they will use the white version of their t-shirt. 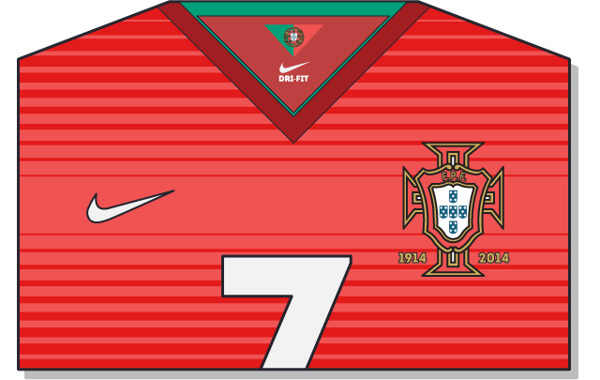 Portugal tshirt features a special 100 years anniversary badge and comes in two different tones of red. Made by Adidas. t comes in red and features the watermark of the Moscow Kosmonauts Museum to honor the Space adventure of the country. Designed by Nike. 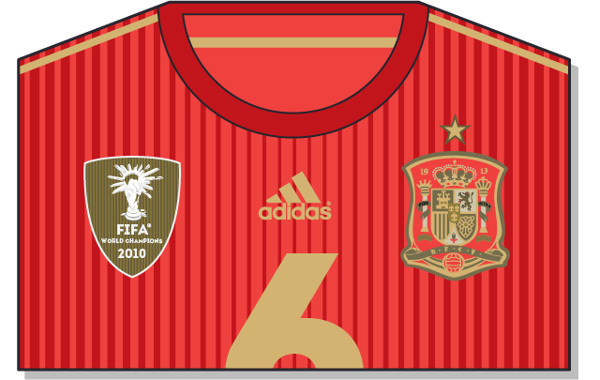 Fifa tshirt is red with blue shorts and the home tshirt is white with stripes on the side of the shoulder. 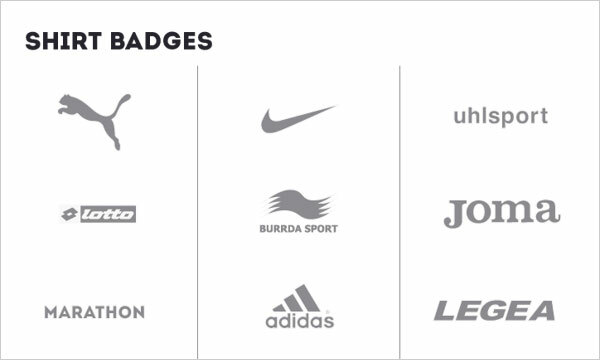 It is made by Adidas. Comes with red in color with vertical stripes. Shorts and socks are also red in colour. Switzerland tshirt is one the simplest amongst all. It comes with red color. 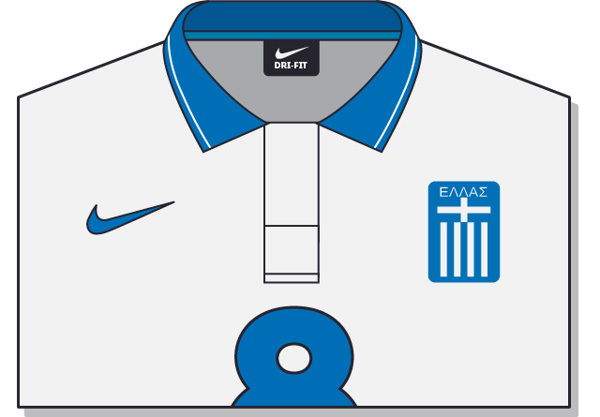 Presented by Nike in January 2014. It is also the very simple one. Designed and sponsored by Puma. Light blue socks and tshirt with black shorts. Ivory Coast is actually Orange color Jersey. 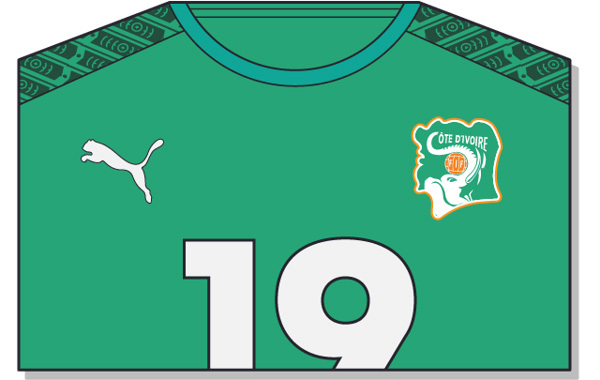 Their AWAY jersey is green.